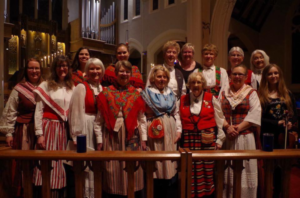 The ASI Cloudberries, a women’s choral ensemble, promotes the Swedish Choral Tradition. Members perform and sing in Swedish. A free will offering will be collected. Refreshments and a social gathering will follow the concert.